It’s not that time of the year already, is it? The annual frenzy of Christmas shopping is underway, and once again you’re wondering where you’ll find something a bit different for friends and relations. Fortunately, Tommy Keyes has the perfect solution and at a bargain price. 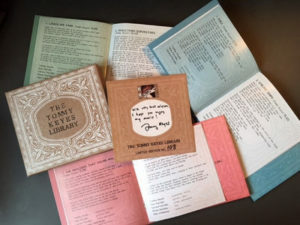 All three Tommy Keyes albums (which usually retail at €10 each), in a beautiful box-set, with a presentation card signed by Tommy and including whatever message you specify (e.g. “Happy Christmas to John and Mary from Pat and Susan in Ireland”) for just €20 – and that includes free postage to anywhere in the world. This offer is only available until 18 December, but if you want it sent abroad it would be best to get your order in as soon as possible due to post office deadlines for international pre-Christmas delivery.